Twenty-two year old Audrey Vardanega is praised as a player “with the kind of freedom, authority, and strength…that one expects from the world’s finest pianists” (Berkeley Daily Planet). Praised as a player “with the kind of freedom, authority, and strength…that one expects from the world’s finest pianists” (Berkeley Daily Planet), 22-year-old Audrey Vardanega made her solo debut with IMG Artists’ Festival del Sole at the age of 12 and became the youngest soloist in the history of the Midsummer Mozart Festival with Maestro George Cleve at the age of 15. 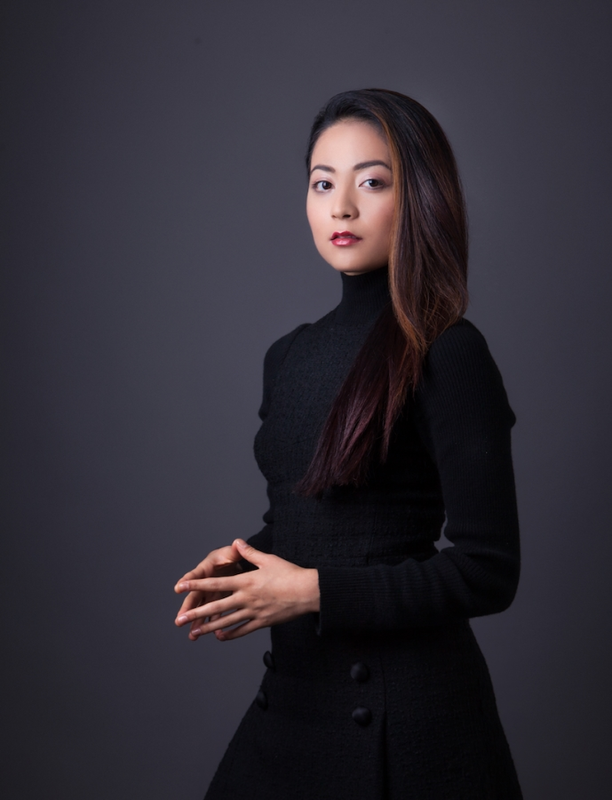 She has been featured as a soloist at the Hangzhou Grand Theater, the Zhejiang Conservatory of Music, Herbst Theater, and the Crowden School, among others. Her past primary instructors include Seymour Lipkin, Jeremy Siepmann, Christopher Elton, Robert Schwartz, and Victor Rosenbaum. Along with five other internationally selected pianists, Vardanega participated in the Carnegie Hall Workshops with Jonathan Biss in February 2017 and was selected as a fellow for the 2017 Ravinia Steans Music Festival. After receiving her B.A. from Columbia University in Political Science in May 2017, she began her Masters in piano performance in the Fall under the tutelage of Richard Goode at Mannes College The New School. Chase Park, born in 1998, began his musical training at the age of 4 with Madeleine Golz at the JCC Thurnauer School of Music in Tenafly, NJ. At age 11, Chase was accepted into the Perlman Music Program, where he spent 7 consecutive summers intensively studying chamber music and cello performance under the tutelage of Merry Peckham, Ronald Leonard, Paul Katz, and Itzhak Perlman. That same year, Chase began his studies at the Juilliard School’s Precollege division with Minhye Clara Kim. In 2014, Chase was featured on NPR’s From the Top, performing the Schubert’s Impromptu No. 3 in G Major accompanied by Christopher O’Riley. He also collaborated with the Shanghai Quartet, performing the String Sextet in G major by Johannes Brahms. In addition, as a finalist in classical music, Chase was invited to participate in Young Arts’s National YoungArts Week in Miami, FL. Chase has performed in cello master classes with Carter Brey, Colin Carr, Jonathan Spitz, Peter Wiley, Steven Isserlis, Ron Leonard and Paul Katz. Chase currently studies at the Curtis Institute of Music with Peter Wiley and Carter Brey and has attended Ravinia’s Steans Music Institute in the summer of 2017. Spanish violist Gonzalo Martin Rodriguez began his musical training at Bilbao’s “Conservatorio Juan Crisostomo de Arriaga” where he studied under the tutelages of Rosa Gutierrez and Ara Cividian. He has also received instruction from Jonathan Brown, Silvia Simionescu, Kim Kashkashian, David Takeno, David Quiggle, Nobuko Imai, Gerard Causse, and Pauline Sachse. An avid chamber musician and soloist, Gonzalo has performed in some of the most reputed concert halls of Europe, including Gewandhaus Leipzig, Musikverein Wien and Sendesaal Bremen. He has performed as a soloist with the Bilbao Symphonic Orchestra, the Deusto Chamber Orchestra, and the “EIO” youth orchestra’s Venezuela and Brussels tours. He is a top prizewinner in the 2017 International Anton Rubinstein Competition for Viola, the Concurso Jovenes musicos de Euskadi, as well as a two-time winner of the Ensemblewettbewerb HMT Leipzig. Additionally, Gonzalo has participated in chamber music festivals and fellowships throughout Europe and the United States, including “Lenk musiksommer,” “Presjovem,” the Prussia Cove International Musicians Seminar, the “Harmos Festival” concerts, and the 2017 Ravinia’s Steans’ Music Institute. He is currently completing his Masters of Music at the HMT Leipzig under the tutelage of Professor Tatjana Masurenko.